There will be a private family visitation at Amos Carvelli Funeral Home, and she will then be taken to Cedar Hill Cemetery and Funeral Home, 411 Penn Avenue, Suitland, MD, to be laid to rest. 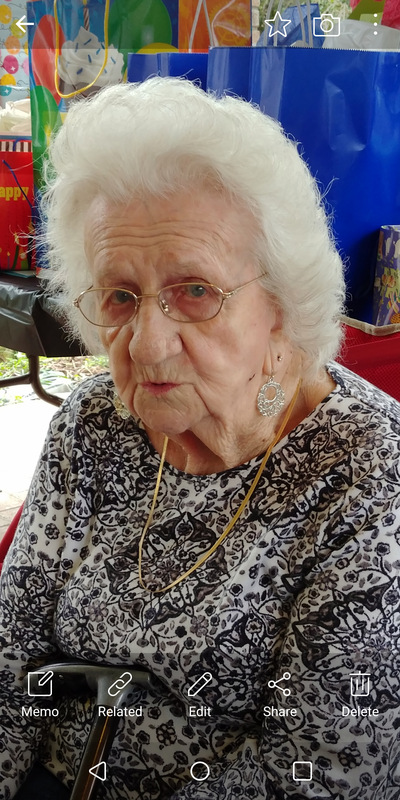 Helen Batten, 92, of Clarksburg, WV, passed away on Wednesday, January 23, 2019, at the Serenity Hope Assisted Living, in Good Hope. Mrs. Batten was preceded in death by her husband, Raymond Batten on June 14, 2011; two daughters, Shirley Rahne and Connie Swiger; and one son, Raymond Batten Jr.
She is survived by one daughter, Yolanda Rodgers of New Jersey; son-in-law, Melvin Swiger of Clarksburg; six grandchildren; 10 great grandchildren; and one great-great grandchild; as well as several nieces and nephews. Mrs. Batten was a homemaker.